Read about BookExpo America (BEA)’s sessions Wednesday, Thursday, and Friday (here and here). 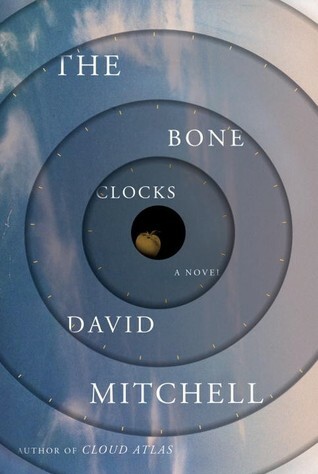 Characters from one of Mitchell’s novels often show up in his other novels; characters from Black Swan Green and Cloud Atlas make appearances in The Bone Clocks, a treat for loyal Mitchell readers. Some brave Book Riot-ers recounted their adventure/ordeal getting copies of they galley of The Bone Clocks and getting them signed by the author in the exhibit hall after his talk. Cary Elwes followed David Mitchell in the same room, and I suspect that some people attended Mitchell’s talk just to be sure of a seat in the room when Elwes appeared; while Mitchell merited applause, Elwes walked in to screaming fans. He told several stories that are included in his book; three are recounted in this Vulture piece. Speaking of Andre the Giant (Fezzik in the movie), Elwes said he was “the sweetest guy ever,” truly a “gentle giant.” “He’d give you the shirt off his back – it’d be enough for four people.” When it was cold out during filming – during the first kiss scene, for example – Andre placed his hand on top of Robin Wright’s head and warmed her up enough to stop her teeth from chattering. For the fencing scene, Elwes and Mandy Patinkin had two months of training on set, though the trainers wouldn’t guarantee “proficiency” by the time they were due to begin shooting. Elwes had studied fencing briefly in acting school, but a teacher had told him not to bother; Patinkin had had two months of training prior to the movie. At the time of the scene, Elwes also had a broken toe (see Vulture article). Neither actor, incidentally, is left-handed. During the Q&A following the official interview, someone asked about the fake introductions in Goldman’s book (he references a son called Billy and a wife called Helen; in real life he has two daughters). Elwes called Goldman “an inventive writer” and said that while some parts are invented, some – like Mandy Patinkin slapping Andre the Giant – are true. Florin and Guilder, however, are not real countries, and S. Morgenstern is simply a pen name of Goldman’s. 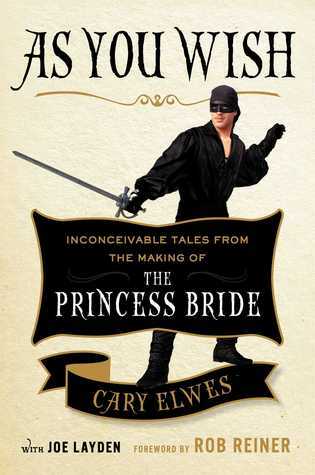 The Princess Bride, Elwes said, was “one of the most joyous experiences of my life,” and it has clearly provided a lot of joy to others as well ever since its release in 1987.